Tim (1) is Timmy Richardson (AKA The Other Timmy or TOT so as not to be confused with The Shelter’s Timmy Regisford) and Greg (2) is Greg Daye – more heroes of the NYC Underground House movement. 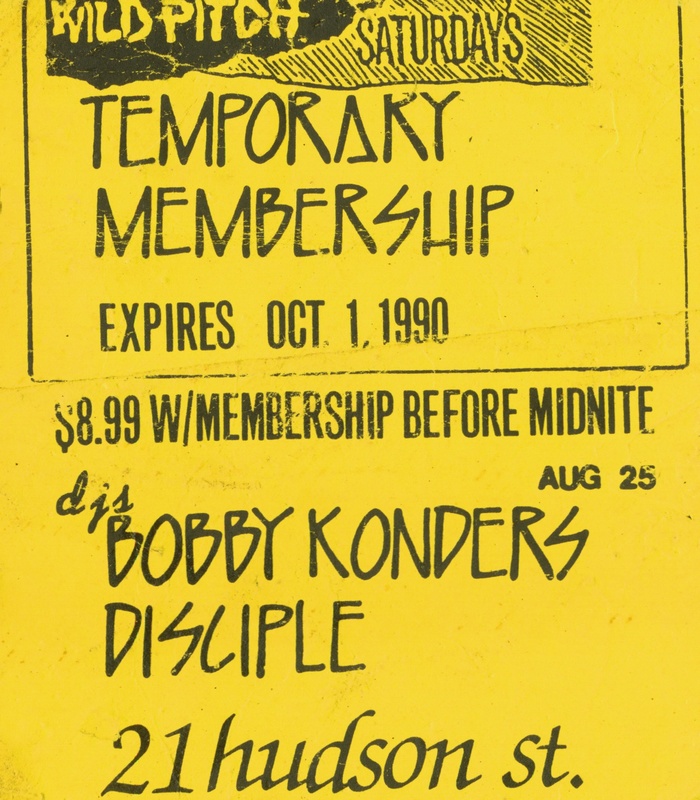 As with Richard Vasquez’s house parties when The Choice started, these guys (with a host of others) weren’t going to let the closing of the Paradise Garage stop the party. From Wild Pitch there are connections to every important DJ and producer in the New York scene, developing its sound away from the spotlight. 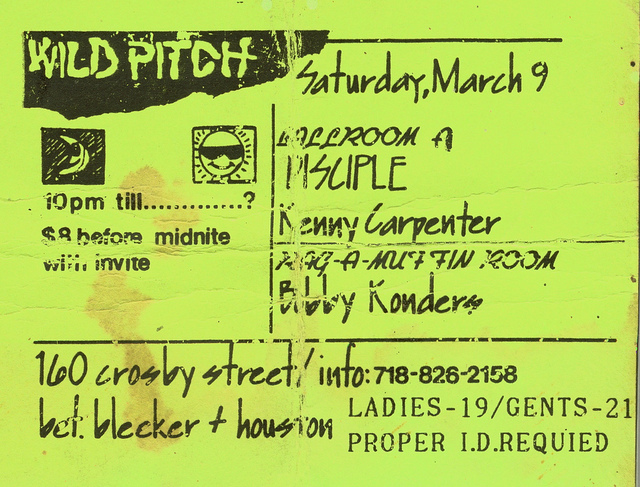 The Deep House sounds of Wild Pitch and other NYC clubs would become underground club hits worldwide, released on NYC record labels like Nu Groove, Fourth Floor, Big Beat and Strictly Rhythm. Controversially, Chicago’s DJ Pierre would even appropriate the name for a series of “Wild Pitch” mixes, despite him and his music having very little (if anything) to do with the Wild Pitch parties themselves. Ultimately however, this was music by New York for New York. Anyway – the full story of Wild Pitch is still to be told by the guys that were actually there and when they do, I’ll be all over it!